Again, the EPA says all mercury is toxic. But Dr. Offit suggests that epidemiological studies have shown that mercury in the form of Thimerosal-containing vaccines has been tested on children and there has been no proof that it is harmful. Remember, though, this is not the same as saying mercury has been proven to be safe in children. Just that it has not been proven to be harmful. The interviewer follows up and asks, “So you’re saying elemental mercury in the brain is not a problem, a problem that you know of? Offit replies, “I don’t know, I mean it’s an interesting finding… “1 Then he backtracks and acknowledges mercury’s toxicity, but offers that it’s the degree of toxicity that’s important, and that it depends on the amount of the mercury that is involved. So, according to Offit, it’s the dose of mercury that matters, not so much the mercury itself. 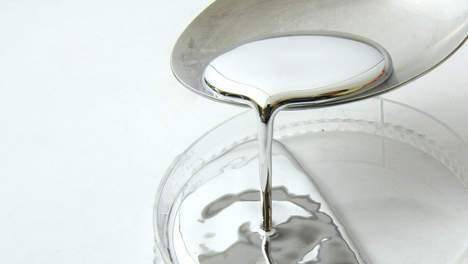 The thinking is that, while a lot of mercury might be lethal, a tiny little bit is harmless. It’s a fascinating idea. But then you’d have to explain the logic behind giving a baby the same dose of a vaccine as would be given to an adult. If, in fact, it’s the dose that matters, then it would be illogical and downright irresponsible and dangerous to treat children the same as adults when it comes to vaccines and their toxic ingredients such as mercury. And therein lies the danger of medical doctors acting as if they are experts on the potential toxic effects of vaccines on the human body and brain, particularly those of infants, older children, and teenagers still in the process growing and developing. They just don’t understand that kind of science. Think about it. Doctors are going around assuring their patients that the levels of mercury, aluminum, formaldehyde, and numerous other toxins in vaccines are negligible and, thus totally safe to be injected into muscle tissue. Never mind that those toxins ultimately reach the bloodstream and could end up in the brain or other organs. Nothing to worry about. Yet doctors giving vaccines to children and adults don’t know how these ingredients interact with each other. They don’t understand synergistic toxicity. How often do these synergistic toxic effects occur? And who is most vulnerable? That’s a huge knowledge gap among doctors who many of us entrust with our health—and more importantly—the health of our infants and children. 1 Vaccines Are Not Safe. YouTube.com published Mar. 13, 2014. 2 Burbacher TM, Shen DD, Liberato N, Grant KS, Chernichiari E and Clarkson T. Comparison of Blood and Brain Mercury Levels in Infant Monkeys Exposed to Methylmercury or Vaccines Containing Thimerosal. National Center for Biotechnology Information, U.S. National Library of Medicine Apr. 21, 2005. 3 Thomas M. Burbacher, PhD. University of Washington, Department of Environmental & Health Sciences. 4 U.S. Environmental Protection Agency. Mercury Compounds, Hazard Summary—Created in April 1992; Revised in January 2000. 12 Responses to "Mercury and the Synergistic Toxicity of Vaccines"
I don’t see why anyone with a serious interest in vaccine safety is interviewing Paul Offit, as he consistently and demonstrably biased about the interpretation of all vaccination data with regard to safety and efficacy. anytime soon. There is too much money to be made by pushing dangerous vaccines. We talk a lot about this in my upcoming film, 50 Cents a Dose. To be released in October. Thank you NVIC for your participation and your continued good work. if you want to know something is toxic and harmful to children, then test it on children. Per dr. offit.md. Please correct me if i am wrong but wasn’t that type of medical experiments done in german nazi concentration camps? Were not those doctors sent to prison? Oh i forget many came over to atlanta ga under CIA operation paperclip and started the CDC. Please tell me the difference of hurting and killing babies under the title of ‘science’ and the authorized tuskegee syphilis experiments from 1942 to 1972 when the whistle was blown and the gig was up. All great comments! Bottom line – Stay away from vaccines! Same with other pharmaceuticals. Nobody has a clue as to how toxic drugs are when combined with each other or vaccines. They are not tested in any clinical trials to this degree, yet some people somehow feel comfortable taking 5, 10 or more prescriptions on a continual basis! The idea that “doctor’s know everything” simply isn’t true. It blows me away to hear how many people have this blind faith in the medical profession. I for one believe the less toxins and chemicals we ingest or inject, the better off we’ll be. That includes all the CRAP in our food supply. The truth about mercury toxicity has been stated many different ways by many respected scientists, such as Dr. Boyd Haley. The following statements sum it up nicely. If a multi-dose vial of a flu vaccine (which contains Thimerosal) is dropped and breaks, the building must be evacuated and the spill is cleaned by a hazmat crew. Likewise, expired multi-dose vials of flu vaccine must be disposed of by a hazmat crew. Question to Dr. Offit (and ALL doctors): how does a vaccine that is hazmat material become a wonderful, health-protecting product once it is injected into pregnant women, babies, toddlers or ANYONE?! Brave New World. This article states accurately, if implicitly, an idea that is often overlooked about medical doctors, the idea that the typical MD is NOT a researcher. A medical doctor is a practitioner; that is, the doctor of medicine (MD) is a highfalutin trade degree. (The formation of scholars: Rethinking doctoral education for the twenty-first century. Walker, et al.). Bestowing expertise upon an MD without his/her having the credentials necessary to interpret and analyze data and the studies which report data related to the toxicology of vaccinations should be ridiculed. Yet doctors, like P.A.O., promote themselves as experts, when, instead, they’re frauds. Caveat emptor. This statement alone is cause to completely dismiss Dr. (Pr)Offitt. Because epidemiological studies are merely observational and it is impossible to fully account for other variables, these studies can ONLY show correlation and can NEVER fully assess causality. Causality can only really be shown when variables can either be removed or controlled, for example with animal studies (where all environmental factors can be fully controlled) or cell studies where the only variables are the toxins and the cells themselves. What Dr. (Pr)Offitt is trying to do is convince us that the very studies that can prove causality must be dismissed and only the studies that can not prove causality should be considered. This approach is designed to convolute the science that shows definitively that there is a causal relationship between certain vaccines and autism and other adverse events. Keep in mind whenever anyone rolls out the good Dr. (Pr)Offitt, he is a full vaccine insider, developer and a millionaire from the vaccine industry. His Chair at CHoP, which is used to bolster his “credibity”, is funded by Merck… Go figure he supports vaccines. This is great reading with a lot of interesting comments especially, the one on Hazmat. The vaccine controversy hits close to home because I have two older children who were injured by their childhood immunizations. I would like to leave the following comment for all readers. There are two recent documentaries on vaccines that everyone including the skeptics should watch. What the Pharmaceutical Companies Don’t Want You To Know About Vaccines by Dr. Todd Elsner and Silent Epidemic, The Untold Story About Vaccines by Dr. Gary Null. An interesting article, but shouldn’t the reader know that this is almost totally irrelevant to them? Since at least 2002, all US vaccines on the infant schedule are single dose vaccines. Since thimerosal was added to vaccines starting in the 1930s as an anti-bacteria agent to stop contamination when a needle is repeatedly inserted into a multi-dose vaccine vial, thimerosal is not added to US infant schedule vaccine since at least 2002. And of course, thimerosal has never been added to any of the live attenuated vaccines including MMR as it would kill the live attenuated vaccine. Some flu vaccine does come in multi-use vials and thus has thimerosal added. (Aug 20, 2015) – “At present, all routinely recommended vaccines for U.S. infants are available only as thimerosal-free formulations or contain only trace amounts of thimerosal (≤1 than micrograms mercury per dose), with the exception of inactivated influenza vaccine.” (www.fda.gov/BiologicsBloodVaccines). Also the flu vaccine is routinely recommended for pregnant women. In addition the article points out the synergistic effects of the chemicals involved, which somehow is totally ignored. So why you point out that it’s all totally irrelevant is another mystery.